Synopsis: Prince Hamlet struggles over whether or not he should kill his uncle, whom he suspects has murdered his father, the former king. Did You Know? Laurence Olivier was 11 years older than Eileen Herlie, who played his mother Queen Gertrude. Quotables: MARCELLUS: Something is rotten in the state of Denmark. I have an irrational dislike for actors who direct themselves in a leading role. How are they able to really direct the production when they’re in practically every scene? It’s like they’re just stroking their ego and all the other actors are just part of the set. Then again, when you’re a high-calibre actor like Sir Laurence Olivier, your ego is not undeserved. Nevertheless, perhaps Olivier would have cooled his jets a little had someone other than himself been his director. But I’d much rather watch Laurence Olivier overact than Nicolas Cage. The costumes and set were utterly breathtaking. Even the visual effects were extraordinary. 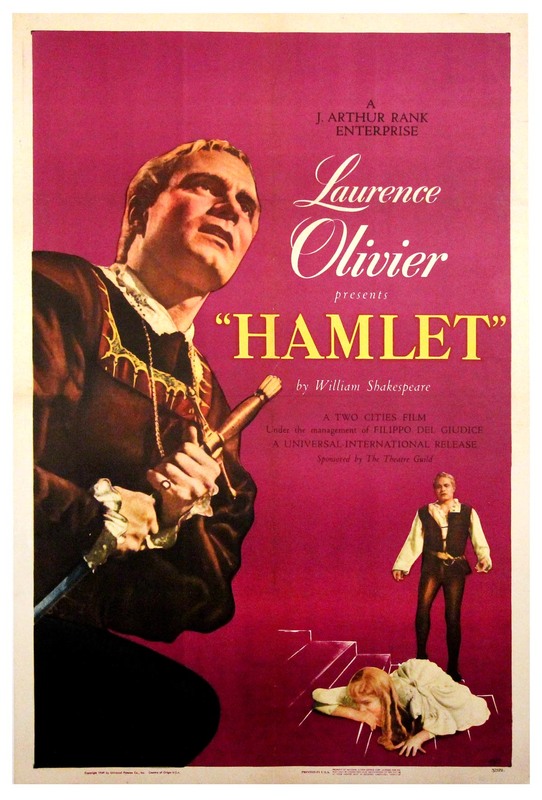 A lot of other online critics, novice and professional alike, decry the Academy for choosing Hamlet over The Treasure of the Sierra Madre as Best Picture of 1948. I, for one, preferred Hamlet.